When people went to bed in central Italy on Tuesday night, they never dreamt it would become a nightmare, surrounded by fallen buildings. A devastating Earthquake (“Terremoto”) has hit central Italy. The first quake happened at 3.36am on Wednesday morning (24th August 2016) with a magnitude of six. The epicentre was 1.24 miles (2km) from Accumoli in the Province of Rieti, with tremors even felt in Rome 68 miles (110 kilometres) to the southwest. The hypocentre of the first quake is believed to have been only at a depth of 4km, which caused the quake to be felt all the more, and over a greater distance. The area affected covers parts of Lazio, Marche, Umbria and Abruzzo. After quakes were also felt at 4.32am and 4.33am with an epicentre near Norchia in Perugia, Castelsantangelo sul Nera (Macerata) and Arquata del Tronto (Ascoli Piceno) with at least 50 quakes after that. Five of these had a magnitude of over four and with hypocentres between eight and nine kilometres deep. Many of the first deaths reported were from two towns only 10km from the epicentre. 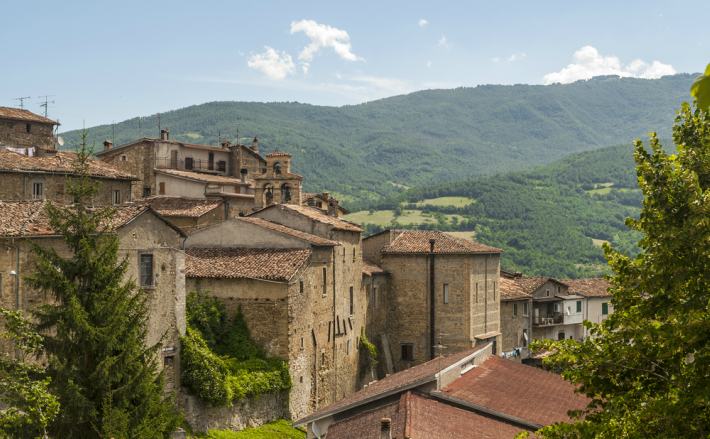 The town of Arquata del Tronto in the Province of Ascoli Piceno in the Le Marche Region, 62 miles (100 km) south of Ancona, and Amatrice in the province of Rieti. 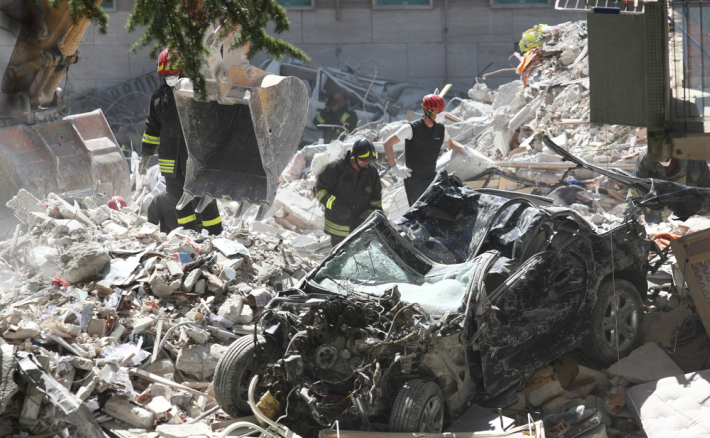 On Wednesday afternoon they had counted 17 deaths in Arquata alone. The mayor of Amatrice is devastated by the massive destruction of his town, where even the hospital has been so badly damaged that people had to be treated in the street until they could be transferred to hospitals in other cities such as Rieti and Rome. People in the region are being asked to give blood at their local hospitals. Thank you to the people who are working tirelessly to find people in the rubble. Many roads have also been affected, Pescara del Tronto cannot be accessed by road and the “A tre occhi” (Three eyed bridge) over the Castellano river, is now considered unsafe to cross. Historical buildings are reported to be badly damaged such as the 14th century church of Sant’Agostino and the Basilica of San Francesco in Amatrice. 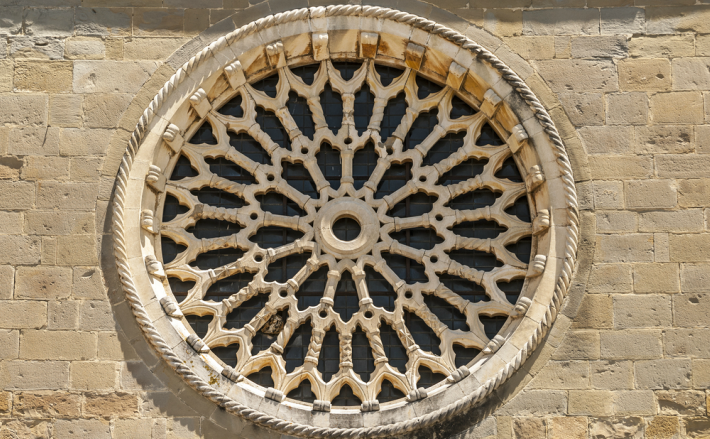 Rose window of Sant’Agostino Church, Amatrice. Our thoughts are with the victims and their families. As of this morning, Thursday 25th August, ANSA.it reported 247 people dead, and sadly, this figure is likely to rise in the coming hours as more people are pulled from the rubble. Hundreds are injured in hospital, and it is unfortunately still unknown how many people are missing. If you are concerned for someone you know in the area, Facebook has set up an emergency “safety check” page where survivors can let their loved ones know they are OK: https://www.facebook.com/safetycheck/central-italy-earthquake-aug23-2016/. The Mayor of Accumoli believes there are around two and half thousand displaced people in the Accumoli Centre, of which two thousand are holiday makers. He said, “We will try and help them all, but it’s better that you leave”. Emergency camp sites are being set up by the Civil protection Agency, and The Economy Minister has immediately made available, a 234-million-euro National Emergency Fund. It is not the Earthquake itself that kills people, it is the collapsing buildings. When an earthquake happens at night, many sleeping people are caught unaware. In hill top villages many of the buildings are very old and built of heavy stone. When an Earthquake hit L’Aquila, in Central Italy back in 2009 about 65,000 out of a population of 72,000 had to abandon their homes. The question of how to protect historic buildings has been raging ever since. Even some modern buildings collapsed in L’Aquila, which also raises questions about whether building regulations are always being followed. L’Aquila, Italy. Antonio Nardelli / Shutterstock.com. Anyone who builds or modifies the structure of a house in Italy must respect the seismic rules of that area, to protect the people who live in the building. 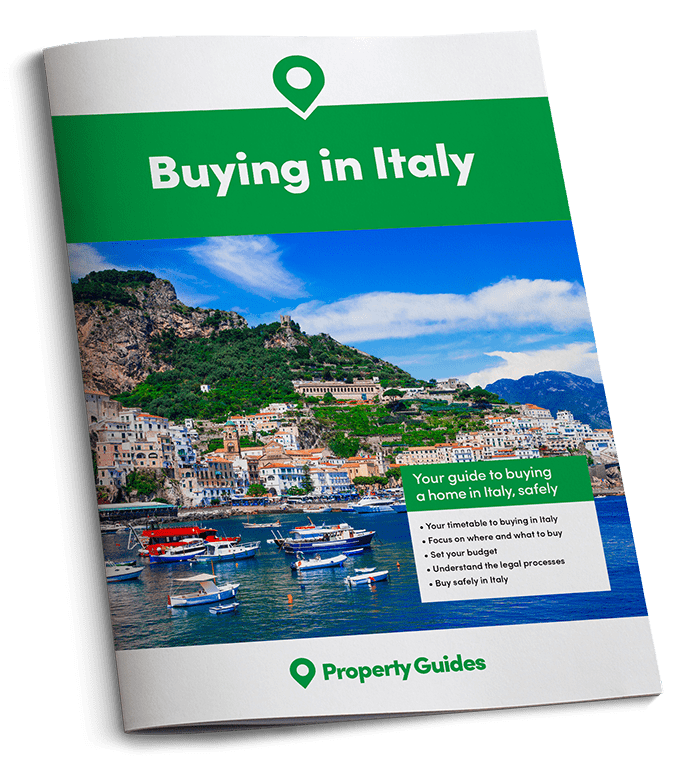 To find out more about risk in the area within which you plan to live, and which regulations you need to follow, contact the relevant offices of the Region, the technical department of your local authority, or a trusted technician. You need to know when and how your house was built, on which type of soil and with what materials. The intensity of an earthquake on a building can be influenced by the type of soil and the shape of the landscape. Shaking is usually greater in places where the soil is soft, and less where soils are rigid as rock; it may also move more on the top of hills and along the edges of cliffs. The areas of Italy with the strongest recorded Earthquakes are: Northern-Eastern Italy (Friuli Venezia Giulia and Veneto), Western Liguria, Northern Apennines (from Garfagnana to the Rimini area), and mostly, across the Central and Southern Apennines, in Calabria and Eastern Sicily. But remember, although just about anywhere can have small tremors, major earthquakes, like the ones seen this week, are still rare.